Running a small business is not easy, so it is good to call on experts that can help you out when you need them. This is especially true with IT. Not every small business owner is an expert on IT, but increasingly, SMEs look to IT to provide the productivity gains they need to thrive in business. IT is not just about buying operating systems for PCs and productivity software. The Microsoft Partner Network has experts that not only help you choose the right software for your business, but can explain which options are best for your business and assist in choosing the right one. 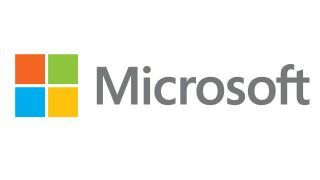 Microsoft Partners include specialists in small and medium-sized business that can rapidly evaluate the goals for your business and identify the software packages you need to take you business to the next level. But running a business based on IT is more than just productivity suites on PCs. That's where a Microsoft Competency Partner can help. They can help a small business get more business value from their IT investments and in turn help your business reach its full potential. These partners can help a small business in areas such as systems management and office automation. IT is important for businesses to look for a partner with competencies as this signifies that they are equipped with the tools needed to enable small businesses, and to help them reduce overall IT costs with solutions that are reliable, secure, and highly scalable. The Small Business competency provides partners the latest training and technology expertise, both on-premises and cloud, needed to meet the needs of small businesses. One important area where the Microsoft Partner Network can help small businesses get to the next level is the cloud. More and more small businesses are embracing the cloud and using Software-as-a-Service (SaaS) products such as Office 365, Windows Intune, and Microsoft Dynamics CRM Online. The scheme also allows small businesses to tap into Microsoft's vast resources. Working with a company in the Microsoft Partner Network means small businesses are assured of having the backup and support of Microsoft if needed. If a project is technically challenging, Microsoft will provide resources to overcome these hurdles. Also, should a project unearth problems with Microsoft software, the company can investigate these issues. In this situation, the Partner Network can act as a safety net. The Microsoft Partner Network can also help firms locate partners for projects. Microsoft Pinpoint has information on partners in the network and customers can search on location, business need, competency and industry focus in order to find the right partner for the right job. It also helps developers and technology service providers get applications and professional services to the customers who need them. The site also includes client reviews and product details. Few business can work without technology, those that do will need to right partners to make their business flourish. The Microsoft Partner Network can help you find those partners.